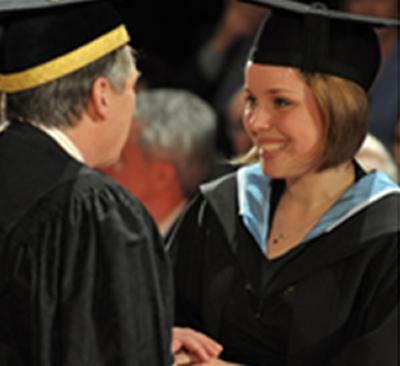 Around 5,000 students will attend Graduation at the University of Southampton this year, alongside five leading figures from the fields of chemistry, engineering, mapping, medicine and the military who will receive honorary degrees. First Sea Lord and University of Southampton graduate, Admiral Sir George Zambellas KCB DSC ADC; Dr Vanessa Lawrence CB, Secretary General of Ordnance Survey International; Dr Abu Bakar Suleiman, President of the International Medical University in Kuala Lumpur; Andrew Wolstenholme OBE, Chief Executive Officer of Crossrail and Southampton graduate; and President of the Royal Society of Chemistry and Southampton graduate, Professor Dominic Tildesley will join this year’s graduates at ceremonies at the University’s Highfield Campus. The University will also be awarding Fellowships to leading barrister, Mr Naveen Agnihotri; Willem Toet, Head of Aerodynamics at Sauber F1 team; and Malcolm Isaac MBE, a highly successful local businessman and a leading philanthropist. The Graduation ceremonies will take place daily in the Turner Sims and the Nuffield from Wednesday 16 July to Thursday 24 July. Dr Abu Bakar Suleiman attended Malay College, Kuala Kangsar, St John’s Institution, Kuala Lumpur and Geelong Grammar School in Victoria, Australia and obtained his MBBS from Monash University, Australia. He obtained the Masters of Medicine (Internal Medicine) from the University of Singapore. He became fellow of the Royal Australasian College of Physicians and did his postgraduate training in Nephrology at Georgetown, University Hospital, Washington DC (USA) and Prince Henry’s Hospital in Melbourne (1975-1976). He attended the Advanced Management Program at Harvard Business School in 1991. He started the Department of Nephrology and developed the Nephrology and Dialysis services at Hospital Kuala Lumpur and extended this to other hospitals in the country. He developed the network of dialysis centres in Malaysia, in the government hospitals as well as in the community, with the support of donors and non-governmental organisations. He also developed the Renal Transplantation services at Hospital Kuala Lumpur. He became Director General of Health Malaysia from 1991 to 2001, and was appointed President of International Medical University in 2001. Dr Vanessa Lawrence CB, is the Secretary General of Ordnance Survey International the international part of Britain’s national mapping authority. Vanessa was, from 2000 to 2014, the Director General and Chief Executive of Ordnance Survey and the adviser to the British Government on mapping, surveying and geographic information. She was the longest-serving Director General since 1875 and she was the first woman to hold the post. Among her many external positions, she is currently the Co-Chair of the United Nations Committee of Experts on Global Geospatial Information Management, the Honorary Vice-President of The Geographical Association, the Honorary Colonel of 135 Independent Geographic Squadron, Royal Engineers as well as being a Visiting Professor at the University of Southampton and at Kingston University. Vanessa is one of the few recipients of the Scottish Geographical Medal, a prestigious award conferred only occasionally since 1890 by the Royal Scottish Geographical Society and she has been elected as an Honorary Fellow of the Royal Academy of Engineering. In the New Year’s Honours of 2008 she was appointed by Her Majesty the Queen as a Companion of The Most Honourable Order of the Bath (CB). Andrew graduated from the University of Southampton in 1981 with a first-class honours degree in civil engineering. He served with the British Army for three years as a Queen’s Royal Irish Hussar before resigning his commission in 1984 to pursue a career in business and engineering. Andrew joined Arup, the international engineering consultants, as a bridge designer in 1987. He was later seconded to Schal Associates in Chicago where he worked on tall buildings alongside some of the great American architects. Andrew moved to Hong Kong in 1992 to develop Arup’s project management capability on some of South East Asia’s major infrastructure projects at that time. Andrew joined the airport operator BAA plc in 1997 as Construction Director for the Heathrow Express rail link. He went on to lead the delivery of the £4.3bn Terminal 5 programme and became BAA’s Director of Capital projects running the £10bn development programme across seven UK airports. With a passion to improve the UK’s construction industry, Andrew was invited to lead an industry review in 2009. His report, ‘Never Waste a Good Crisis’, has helped steer government policy in this important area. Andrew joined the Balfour Beatty Group in 2009 as Director of Innovation and Strategic Capability. He was awarded an OBE for services to the construction industry in the same year. Andrew joined Crossrail as its Chief Executive Officer in 2011 and is a member of Construction Leadership Council. Dominic Tildesley received his BSc in Chemistry from the University of Southampton in 1973 and his DPhil from Oxford University in 1977. After postdoctoral positions at Pennsylvania State University, Cornell and Oxford, he joined the Chemistry Department at the University of Southampton in 1981. He was awarded the Chair of Theoretical Chemistry at Southampton in 1990. In 1998 Dominic joined Unilever Research Port Sunlight as the Head of the Physical Sciences Group. In 2003 he became Chief Scientist for Unilever’s Home and Personal Care Division. He retired from Unilever in June 2012. He moved to Switzerland in January 2013, to become Director of CECAM (Centre Européen de Calcul Atomique et Moléculaire) based in Lausanne. He is currently Professor Titulaire at the École Polytechnique Fédérale de Lausanne. He is the author of The UK e-Infrastructure Strategy for Science and Business: a roadmap for the development and use of advanced computing, data and networks, and he co-chairs the UK E-infrastructure Leadership team with the Minister of Science. He is President of the Royal Society of Chemistry. George Zambellas gained his honours degree in Aeronautical and Astronautical Engineering from the University of Southampton in 1980, sponsored throughout as an undergraduate apprentice by the aerospace industry. Though he left to try his chances as a pilot in the Royal Navy, technology and engineering have been a constant supporting thread throughout his varied military career, most obviously in applied technical support to flying and command of ships, from the mine hunter HMS CATTISTOCK (with its unusual propulsion, navigation, mine-finding and disposal systems) through to frigate commands of HMS ARGYLL and HMS CHATHAM (with their wide range of aviation, anti-submarine, defence and attack systems). He has extensive operational experience and was awarded the Distinguished Service Cross for his role in OPERATION PALLISER in Sierra Leone. He was responsible for the Royal Navy’s Amphibious Task Group during OPERATION HIGHBROW, and the evacuation of civilians from the Lebanon in 2006. More recently, he was Chief of Staff supporting operations in Afghanistan. Ashore, the technically-based discipline of analysis and structured thinking has helped him enormously when faced with complex balance of investment decisions within the Ministry of Defence during the 1997/98 Strategic Defence Review and, later, as the Private Secretary to two Chiefs of the Defence. Retaining a keen interest in engineering, he was honoured to be made a Fellow of the Royal Aeronautical Society and to deliver the keynote address to the Royal Aeronautical Society on the future of unmanned systems in the Royal Navy at the University of Southampton earlier this year.